We've got what you need to know to get where you need to go on Long Island, post-Hurricane Sandy. As Long Island recovers from Hurricane Sandy, and lives slowly begin to return to normal, many Long Islanders are returning to work, school, and trying to get back to their daily routines. One of the biggest challenges that many are facing is how to get where they need to be – there is a serious gas shortage, roads blocked, and many public transportation options are severely limited still because of the massive amount of damage that Sandy has caused. In an effort to help you stay in the loop, and get where you need to go, we’ve put together an updated transportation guide with what you need to know about public transportation options, as well as fueling your vehicle on Long Island, and we will continue to bring you the latest information on this as it comes in. Update (Nov. 5th, 6PM): As of today, many are still struggling with obtaining gas - all over the Island, people have been waiting in line for hours simply to fill up their tank, or get more gas to run their generators. Although the situation has improved slightly, the supply is still quite far off from meeting the demand of Long Islanders at this time. On a more positive note, much of the public transportation here on Long Island is on its way back to a normal schedule. See the below guide for the latest updates on how to get around on Long Island. Have an update you’d like to share? Email us at news@longisland.com. Gassing Up on Long Island – As of now, there is a massive gas shortage throughout Long Island, and the entire tri-state area. 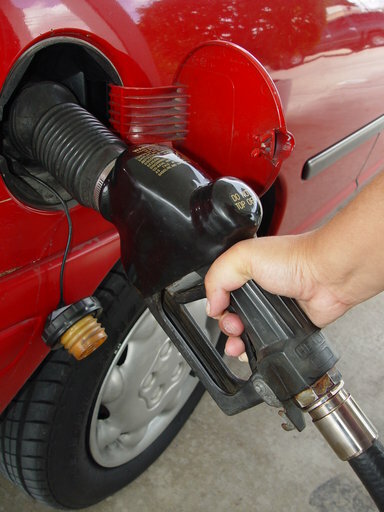 Much needed fuel has been making its way to Long Island slowly, and those stations that have been able to obtain gas have had lines that are miles long. Gov. Cuomo has said that there is no need to panic, but it could be days until the gas shortage has been resolved. The situation has been exacerbated by some locals hoarding gas due to panic caused by the shortage. Be sure to check out our latest Gas Update Article for where to find gas on LI, and more detailed information on the situation. The Long Island Rail Road – On Monday, the LIRR will be operating on a modified schedule for all branches excluding Long Beach. Off-Peak Fares will be in effect, and the on-board ticket fee will be waived. Monthly Passes for October will be valid through Nov. 5th, and customers are advised that there may be crowding. There is no service East of Ronkonkoma on the Ronkonkoma Line, and no service East of Speonk on the Montauk Line. For full schedule information, please visit the MTA website. Nassau County’s NICE Bus Service – According to the NICE Bus Service Update that was issued this evening, there is service for all 48 bus routes, and they are operating on the regular weekday schedule. There are still numerous detours, and there may be delays, so be sure to check the NICE Bus Service website, and plan accordingly. Able-Ride is also fully operational now, however Able-Ride customers must confirm that their destination is open for business before setting up & confirming their appoitments with NICE Bus Service. Suffolk County Transportation Bus Service – According to their website, all Suffolk Transit Bus lines are currently operating on their normal schedule, however riders are advised to plan ahead for detours and delays. The specific detours are not listed on the Suffolk Transit Bus Line website, and they do urge riders to call ahead for information. Bus Route S33 are being re-routed onto 18th Street and Long Island Avenue, then continuing Straight Path due to roadwork. Suffolk County Transportation urges bus riders to plan ahead – you can reach them at 631-852-5200 to get the most up to date information on delays & detours that may be affecting your route. Local Airports – LaGuardia Airport is currently open, but running on a limited schedule – if you have travel plans, be sure to check ahead with you carrier for any changes/delays/cancellations. JFK Airport is currently open as well, and officials are encouraging travelers to share a cab to/from the airport to conserve fuel amidst the current shortage. AirTrain Service has returned to normal at LaGuardia Airport. Subject: LongIsland.com - Your Name sent you Article details of "Transportation Update: What You Need to Know Before Traveling on Long Island"